It’s wonderful to look through pictures and celebrate your past adventures. With a good action camera, you can capture every important moment and every step of the journey you are on. Pictures are such an important aspect of many of our lives, and not everyone can afford (or wants) a GoPro. It will please you to know that there are cheaper, and excellent quality, models out there for you. 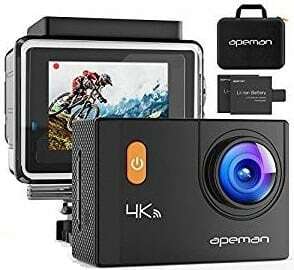 In order to help you find the best budget action camera under £100, we have put this guide together, compiling all of the relevant budget action camera reviews in one place, making things that much easier for you. Yi is a top brand when it comes to tech, and action cameras fall into that category. If you’re looking for something compact and inexpensive, then have a look at the reviews below. This action camera has a sleek and stylish design that is not only good looking, but also surprisingly compact, so you can take it with you on every adventure. The resolution is 1080p, for high quality images that will certainly leave an impression. Plus, it has 3D noise reduction and an ultra-wide angle so that you can capture the full picture. 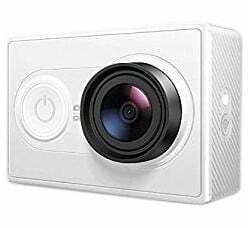 It features a 16MP CMOS image sensor, and is also Bluetooth compatible and has a built-in Wi-Fi adapter so that you can connect. The Panasonic battery is highly efficient, and also provides a long life alongside low power consumption. There is also the option for waterproof casing that will leave it resistant up to 40m. Some feel that the battery life is more average than advertised and suggest bringing extras along with you. This very affordable action camera is a great, and cheaper, alternative to the leading brand GoPro. It has all of the features you would want, and high-quality images so that you can preserve every single one of your adventures. While the battery life can be a little disappointing, it makes up for it in terms of the additional features and the overall quality. A: It doesn't come with a charger, but comes with a usb cable that can charge via the computer. VicTsing is another big name in the tech industry, and it is one that you will not want to forget. Have a look below and see if this could be the perfect camera for you and your travels. This brilliant little camera is the perfect size for travelling, and it has a modern design that leaves it looking fantastic. It comes with a brilliant and durable case for use underwater, so you can dive down up to 30m without causing the camera any damage. Plus, it has real full HD 1080p, leaving you with the best quality images. It also offers backward support for images with a lower resolution, as well as an excellent LCD screen on the back of the camera so that you can view each of your images with perfect clarity. The wide-angle lens also means that you can capture all of your surroundings, and you don’t need to worry about focus. Pus, it has Wi-Fi control and an excellent battery life. The shutter button can take a little time to respond for some people, and others have criticised the design for the battery change. 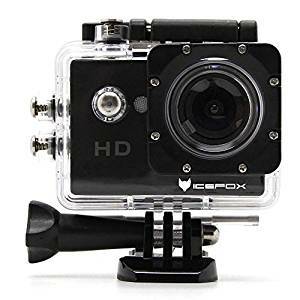 This affordable model of action camera does make a brilliant alternative to the GoPro, and could beat it when it comes to taking excellent quality images of each of your adventures. It has everything you would need and expect from a camera, including water resistance and a good battery life. While there have been a couple of issues with the shutter and the holder for the batteries, these are few and far between compared to those who praise this super camera. If you love nothing more than adventuring in the waters, and taking images of the creatures you find, then you are going to need a camera that can cope. Have a look and see if this brilliant model, because it could be absolutely perfect for you. This action camera has a classic look and a compact design, so it can go with you on every adventure you decide to go on. It comes with a robust waterproof housing, so you can dive down up to 30m to capture some spectacular images while you are exploring the depths. This also makes it suitable for extreme outdoor activities. It has an LCD display so you can flick through your images quickly, a well as a wide-angle lens. It also features ultra-HD quality, so each of your images will be perfectly clear and feature high, 4K, resolution. You can even use it as a car camera or a webcam. It has built-in Wi-Fi and HDMI sharing, so you can post your images and videos to social media seamlessly. The battery life is great, and it even comes with rechargeable batteries. Some have found a couple of issues with picking up the sound, and others found that the battery compartment was quite tricky to handle. 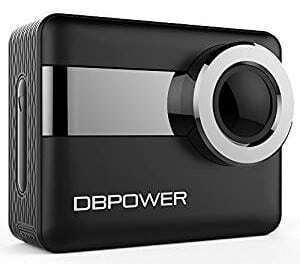 This affordable action camera is a great choice to make if you are looking for something with good quality and an excellent design. Made for underwater use, you don’t have to miss another moment with this. While there have been a couple of niggles with the sound and the battery compartment, it’s more than made up for by everything else that this camera can offer. Here are some further models of action camera, just in case the ones above do not quite meet your requirements. This nifty camera features a 1080p full HD screen that will capture videos and images, and allow you to view them in stunning quality. 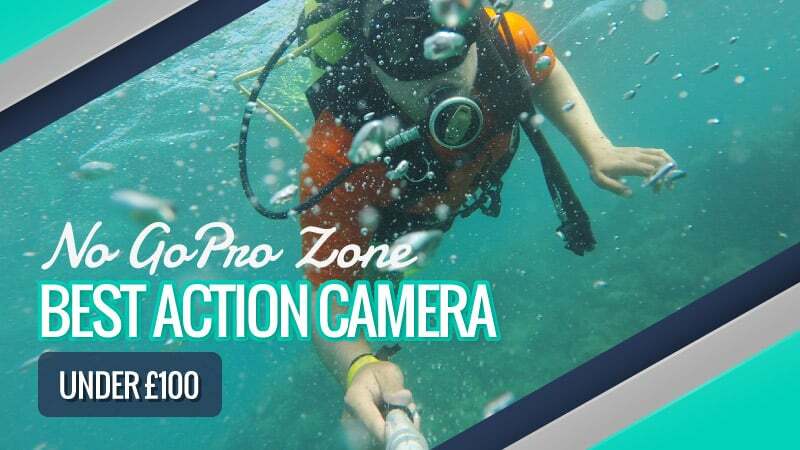 The water-resistant case means that you can dive 30m underwater without any damage to your camera, allowing you to capture the most important moments in your life. The wide-angle lens means that you can have a much bigger field of view, so you can take in every inch of your surroundings. Plus, it comes at an amazing price. It features a large touchscreen that is not only great for viewing your past images and videos, but also perfect for capturing every moment. Stylish and compact, it can go anywhere with you, and is a reliable model to have in your possession. Plus, it is waterproof up to 30m underwater, so you can preserve some of the amazing journeys that you go on. It’s even Wi-Fi compatible, and all of it comes at an unbelievable price. Hopefully, this guide has helped you to find the best budget action camera under £100 for your next big adventure. While the GoPro is often the first choice for many, there are so many models out there that are cheaper in price, and just as good (if not better) in terms of quality. 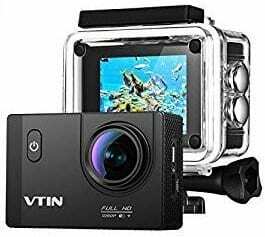 Whether you want to adventure underwater, or you plan on hiking up the tallest mountain, there is an action camera here that will stay firmly by your side through every journey you take. What did you think of our budget action camera review guide? Are there any that you would have liked to see or recommended? We love hearing from you, so make sure to leave us a message in the comments below.